Protagonist - The article kicks off with the headline, "Steal back the future!" 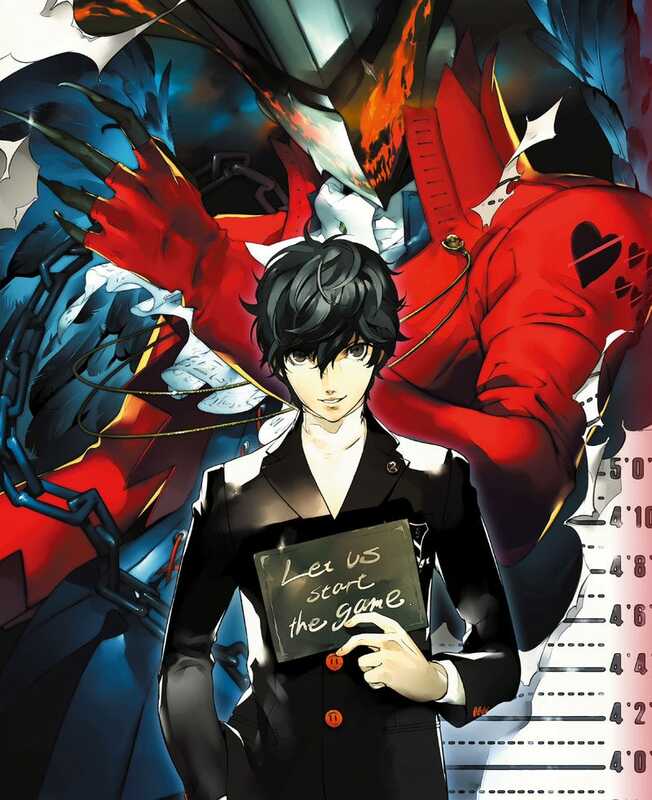 The protagonist gains his Persona after a certain incident unfolds and confronts a great darkness enveloping the city. Setting - Gameplay predominantly takes place in Shibuya. As those who read Japanese may have already spotted in the trailer, the name is rendered in kanji on the signs during the subway station scene, making it plausible the game takes place in Tokyo proper. The atmosphere of the game will feature elements to give it the feeling of big city life, like packed train platforms full of commuters. Awakening - The magazine "theorizes" that the scene with blue flames enveloping the protagonist in last week's trailer is him awakening to his Persona and another side of himself that's greatly different from his public demeanor. Blue flames are believed to turn into masks. Hideout - Judging by appearance, it is likely that it's the cafe the protagonist lives in. Mask – Characters wear their masks during dungeon crawling, and they're likely a key item story-wise during those segments, too. Arsene - The protagonist's Persona. It has black wings and red getup. Sound - Shoji Meguro's soundtrack is set to be acid jazz this time around.